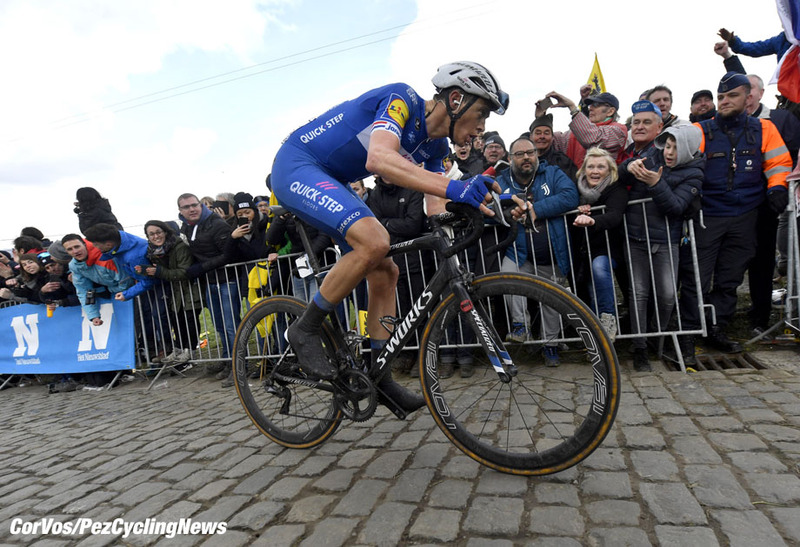 Race Preview: The unofficial World championships (if you are Flemish) is this Sunday, the Ronde van Vlaanderen is one of the most hard fought over races on the professional calendar. 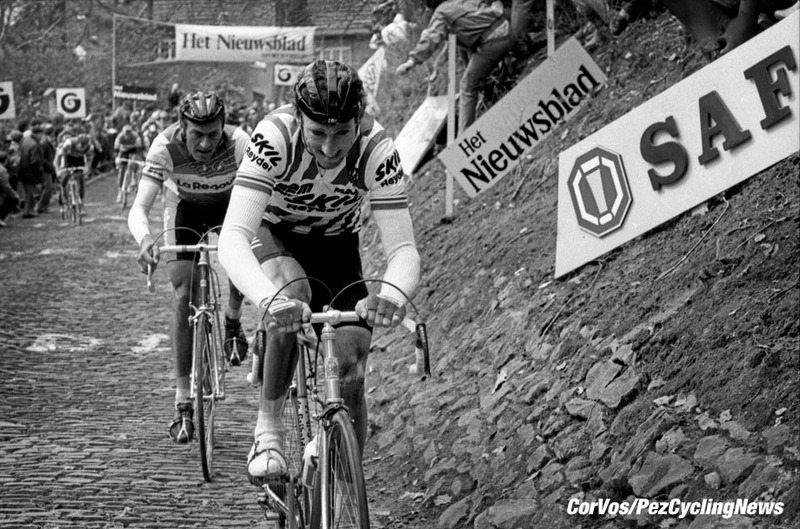 A 'nobody' ever wins the Tour of Flanders. 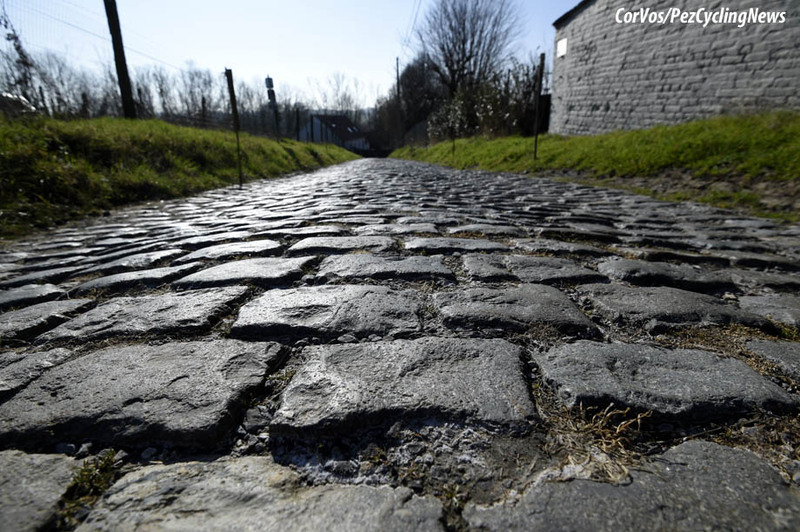 Ed Hood previews the 2019 Vlaanderens Mooiste ahead of a very open edition with many possible winners. You can see all the team line-ups in EUROTRASH Thursday HERE. 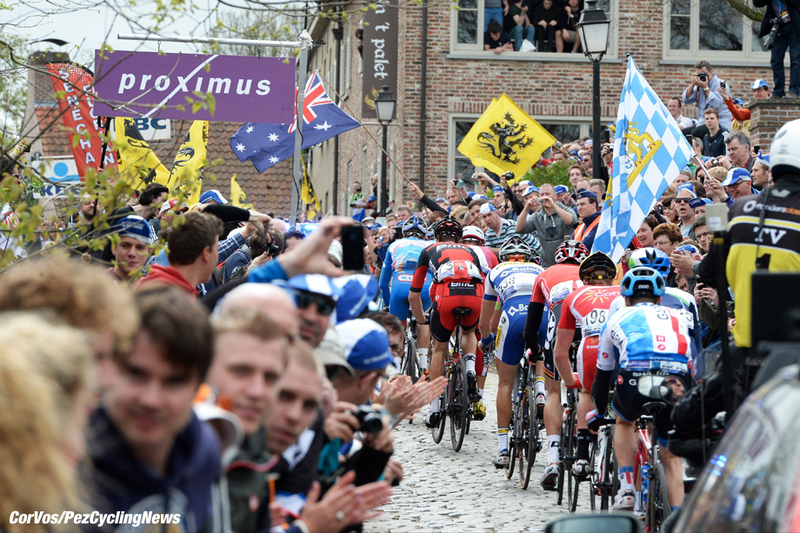 If you’re a true fan of cycling, you must see the Ronde Van Vlaanderen at least once in your life – it’s not just watching a race, it’s being part of something which is a cultural phenomenon, a symbol of a people, an ideology. It’s truly special with a nation in thrall to the story that unfolds around the Flemish Ardennes on a Sunday afternoon. 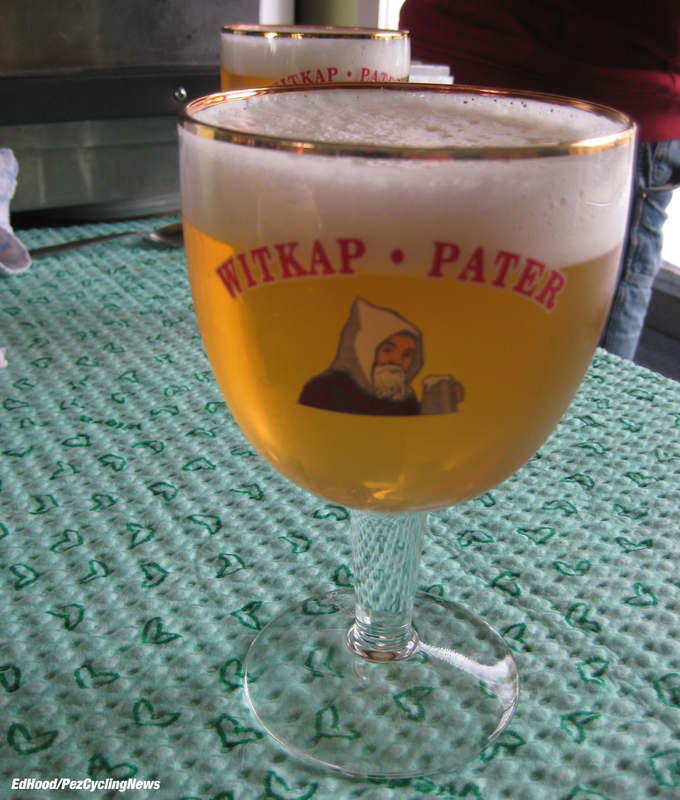 Some 10% of the 6.5 million population of Flanders, will be roadside on Sunday and of the rest, 80% will be glued to the TV with their favourite brew. Stop making excuses, just go. . . 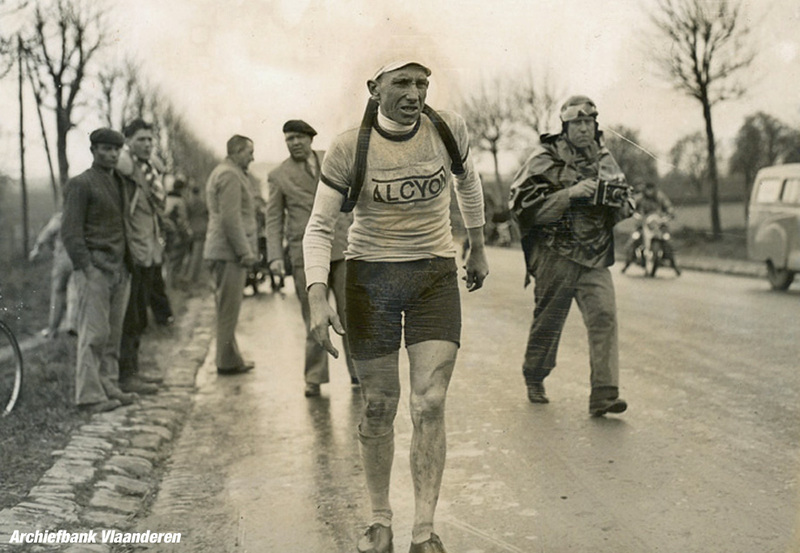 It was 1913 when Paul Deman won the first Ronde for Belgium – a trend which has continued with the home boys winning the race on 69 occasions. 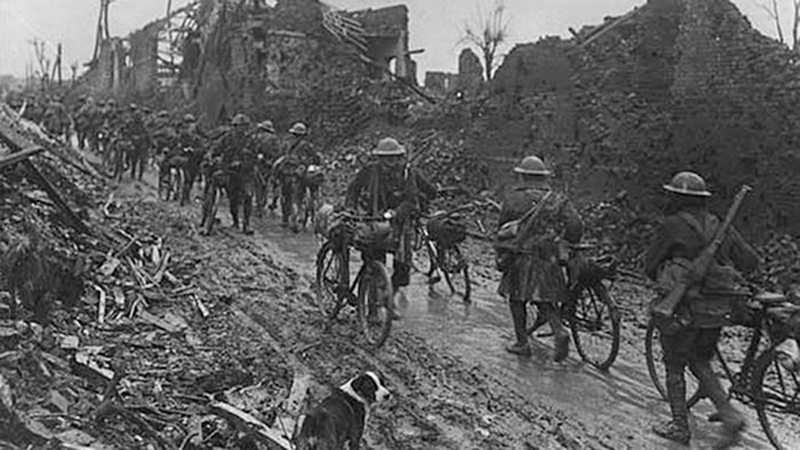 This year will be the 103rd edition; only the First World War has prevented it being run since – understandable, since much of the parcours was the field of conflict – but the race continued through the Second World War. The Western Civilisations may have been struggling to survive the Nazi threat – but the Ronde went on. 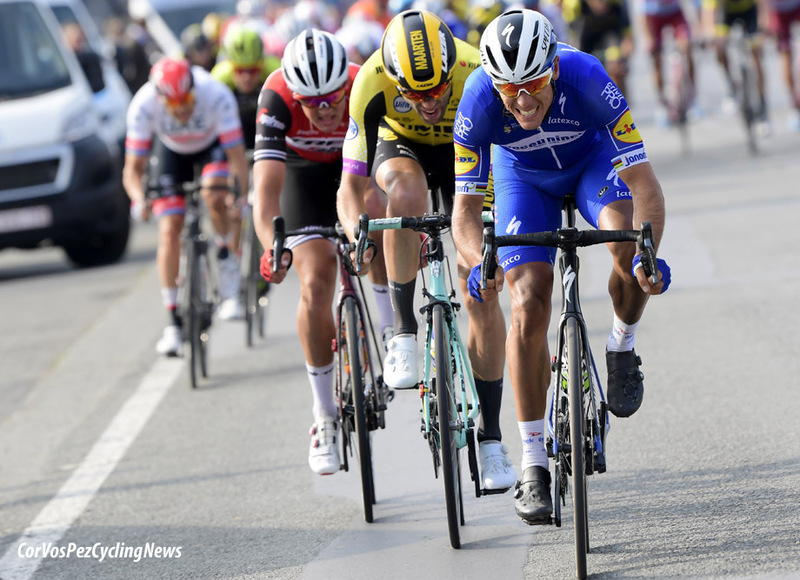 To continue on the ‘stats’ theme - Italy is way back on 10 wins, most recently with Alessandro Ballan in 2007 a position it shares with The Netherlands, also on 10 wins – but Nike Terpstra won just last year as part of Quick-Step’s rampage through the cobbled classics. There are six joint ‘recordmen’ each on three wins apiece – ‘way back’ there’s Achiel Buysse (Belgium) and Fiorenzo Magni (Italy) with the latter’s coming in three successive years. In the modern era Eric Leman, Johan Museeuw and Tom Boonen (all Belgium) and Fabian Cancellara (Switzerland) are on three but Museeuw has the most impressive stats – with three second places and two thirds to give him eight podium spots – a number he shares with Belgian man of granite, Briek Schotte but who ‘only’ had two wins. Schotte is also ‘recordman’ for starts with 20 and 16 finishes – Big George Hincapie started 17 and finished 17 to make him record finisher. It should be noted that even the great Eddy Merckx could ‘only’ win here twice. And the man who was surely born to ride this race, Sean Kelly never won it – second on three occasions mark one of the few frustrations of a fabulous career. # youngest winner: Rik Van Steenbergen (Belgium), 19 years 206 days. # oldest winner: Andre Tchmil (‘Belgium’), 37 years 71 days. # longest Ronde: 324 kilometres in 1913. # fastest Ronde: 43.6 kph, Gianluca Bortolami in 2001. # narrowest winning margin: 7 mm. 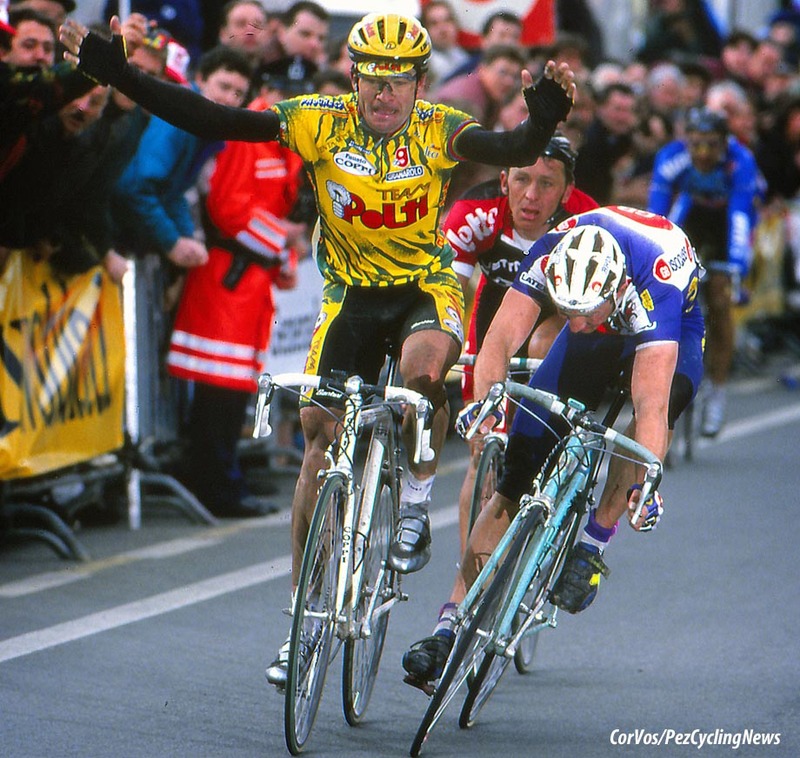 Bugno (Italy) over Museeuw in 1994. 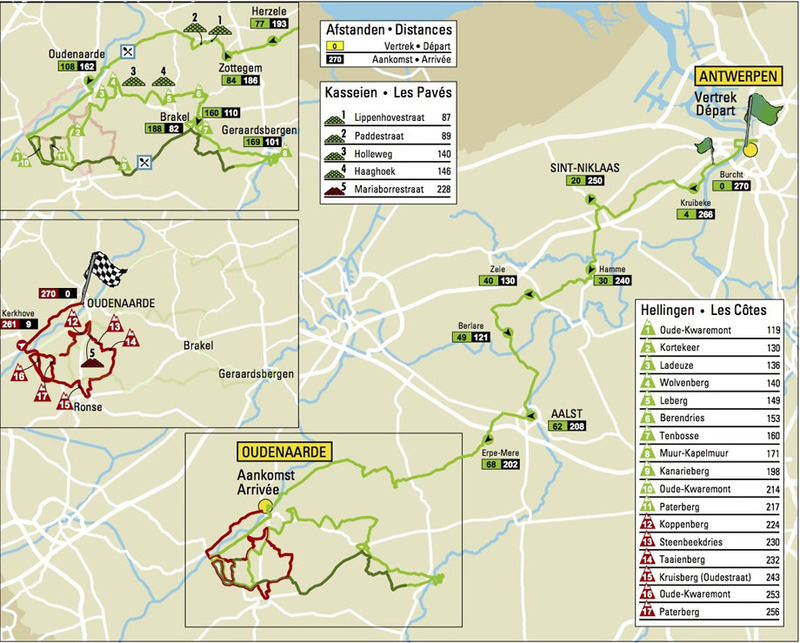 This year the race stays with the long trail down from Antwerp down to the ‘killing ground’ around Oudenaarde and the ‘finishing circuits’ concept with one early and two late ascents of the Oude Kwaremont so as the paying ViPs in their tented village in the false flat middle of the climb can see the race three times without leaving their canapés and Champagne; but most ‘die hards’ – Tom Boonen and me included - prefer the old finish over the Muur at Geraardsbergen then the Bosberg. But then it’s a business and The Euro rules. . .
A note of every one of those ascents and sectors will be taped on to each of the competitors handlebar extensions, and before every one of them you have to be in the right place; or waste precious energy fighting back to where you need to be – the front. The ‘home boys’ have an advantage then. That’s why five of our 12 favourites are from the ‘Hood. 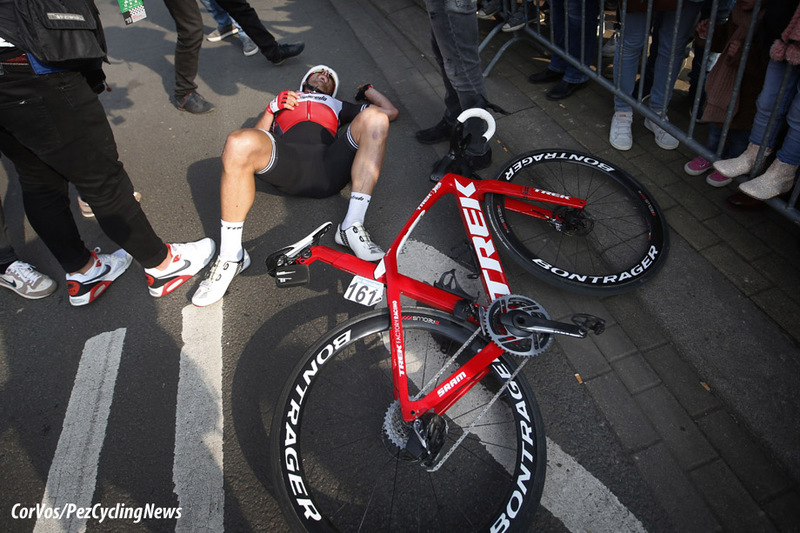 John Degenkolb (Trek-Segafredo and Germany): We didn’t originally have the man who’s won two monuments in his time on our radar but our ears pricked up at Ghent-Wevelgem; a podium after being dropped on the Kemmel and getting back – he’s in shape all right. Philippe Gibert* (Deceuninck - Quick-Step and Belgium): Of those on the start sheet he’s the third most successful rider in the race with a win and three third places to his name. 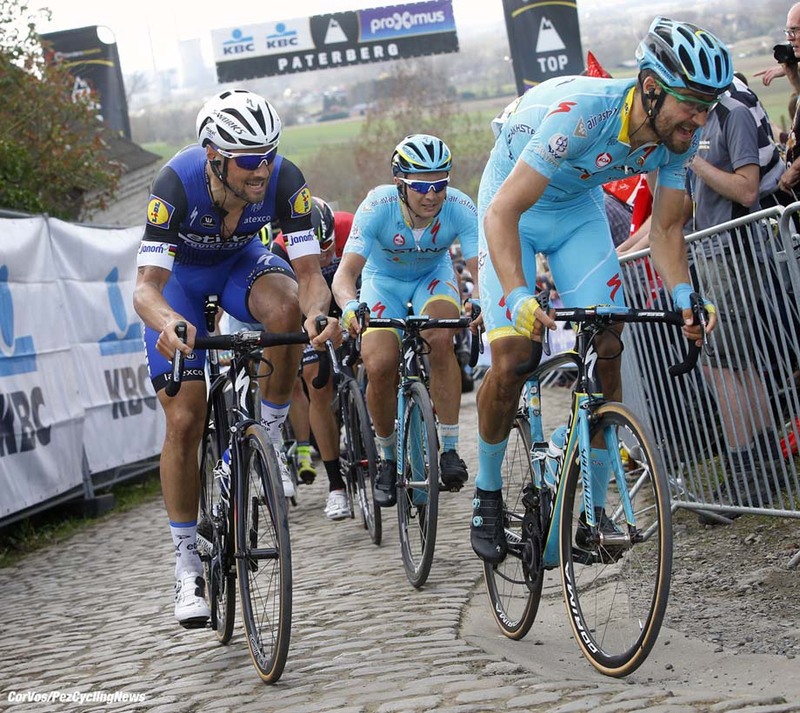 He may be 36 years old but with eighth in the Omloop and 11th in the E3 it would foolish to cut him too much slack – and if it’s not his day he’ll work ‘til he drops for Young Bob and Styby – as he did for Viviani in Ghent-Wevelgem. 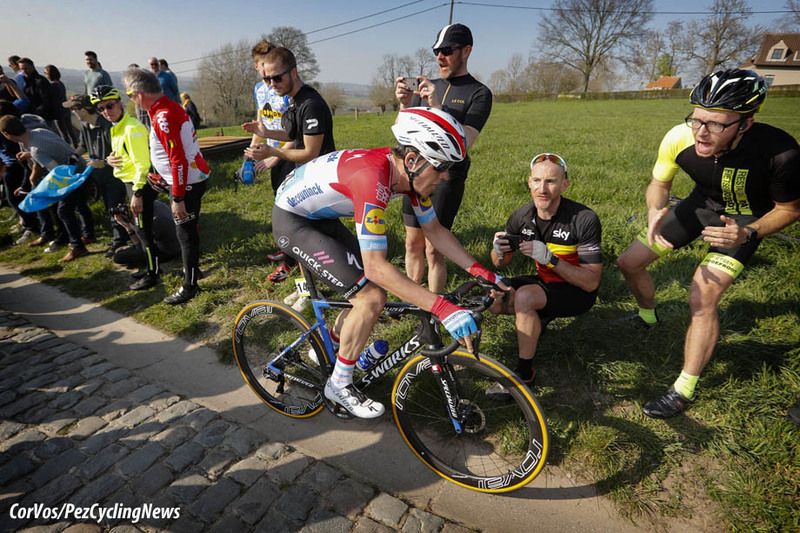 Bob Jungels* (Deceuninck - Quick-Step and Luxembourg): The man has already won a monument at Liege last year, was brilliant in winning Kuurne on the Opening Weekend and hugely impressive in the E3 – we agree with the turf accountants, he can win this race. 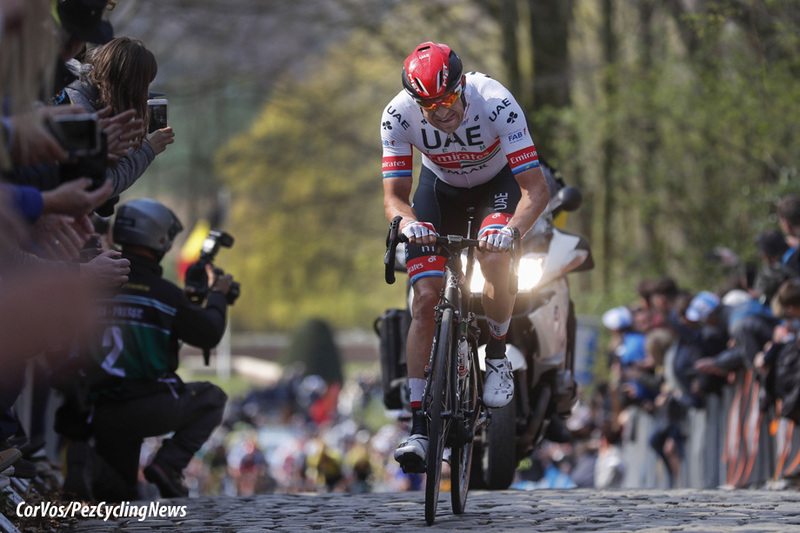 Alex Kristoff (UAE Team Emirates and Norway): We overlooked the man for Ghent-Wevelgem – big mistake. When it’s tough all day and the ‘pure’ sprinters are on their knees, he’s just as quick as ever – and he’ll no have crises with morale. 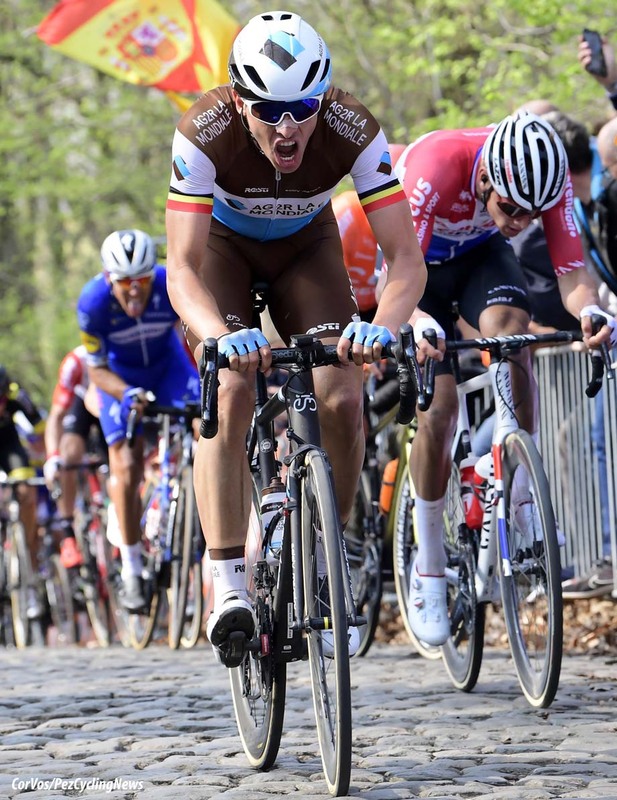 Oliver Naesen* (AG2R-La Mondiale and Belgium): Big, strong, durable with top 10 in the Omloop, second in the Primavera, top 10 in the E3 and another podium in Ghent-Wevelgem – that looks like cracking form to us. 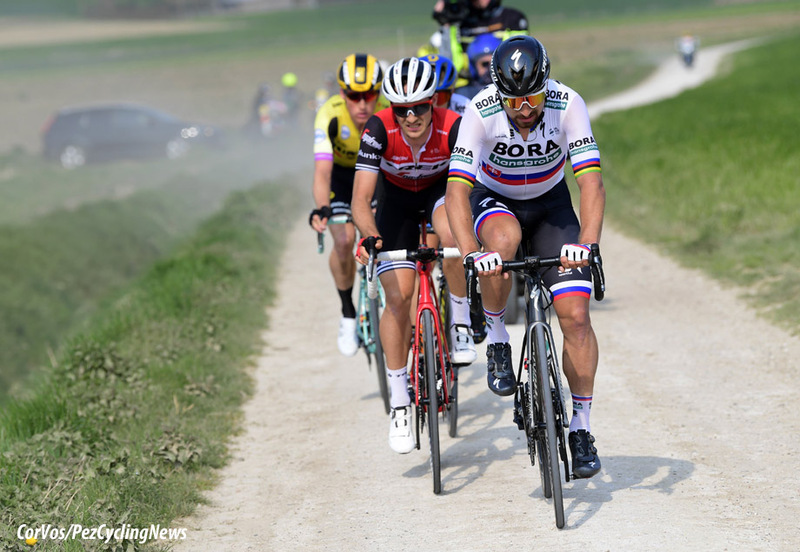 Peter Sagan* (Bora-Hansgrohe and Slovakia): Was that a mechanical we saw in the E3 or a ‘slip’ – albeit he was very strong in Ghent-Wevelgem so the former, we think? A previous winner and never to be overlooked, as with Alaphilippe, he’s ‘Special’. 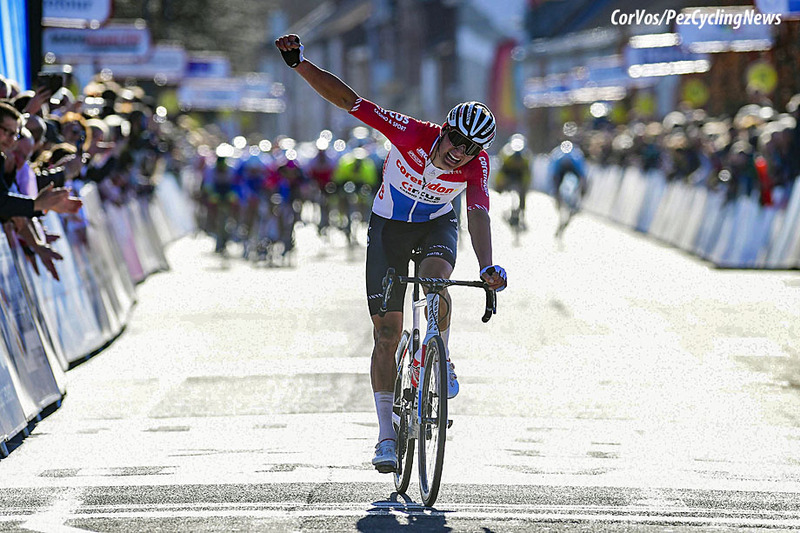 Zdenek Stybar* (Deceuninck - Quick-Step and Czech): Big, strong, ever smiling, he won the Omloop was just off the podium in the Strade Bianche, won the E3 and worked himself into the ground for Viviani in Ghent-Wevelgem; a man at his peak and the one they’ll all be watching – but best keep an eye on Jungels and Gilbert too, guys. 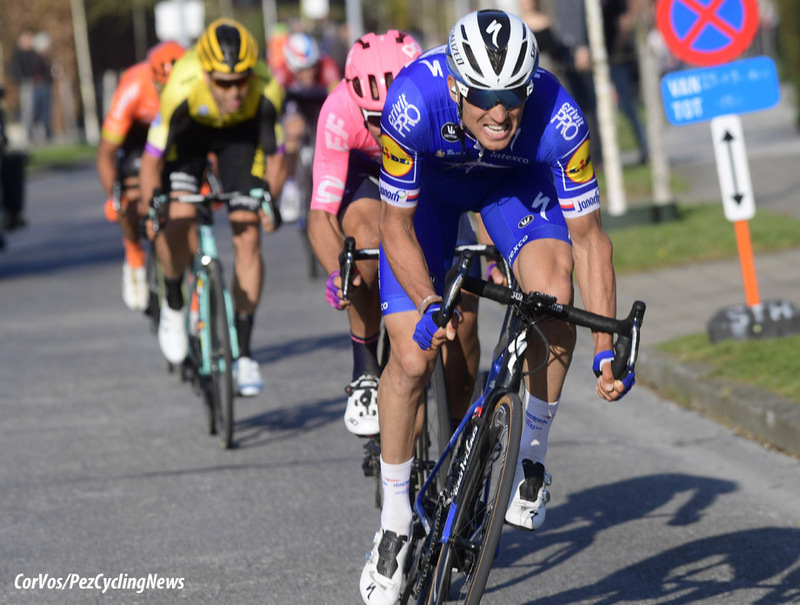 Niki Terpstra (Direct Energie and The Netherlands): It seems strange not to be writing ‘Quick-Step’ beside the baby faced killer’s name but when you’re 34 years-of-age and that big petro-chemicals cheque gets waved under your nose, it’s hard to say, ‘no’. 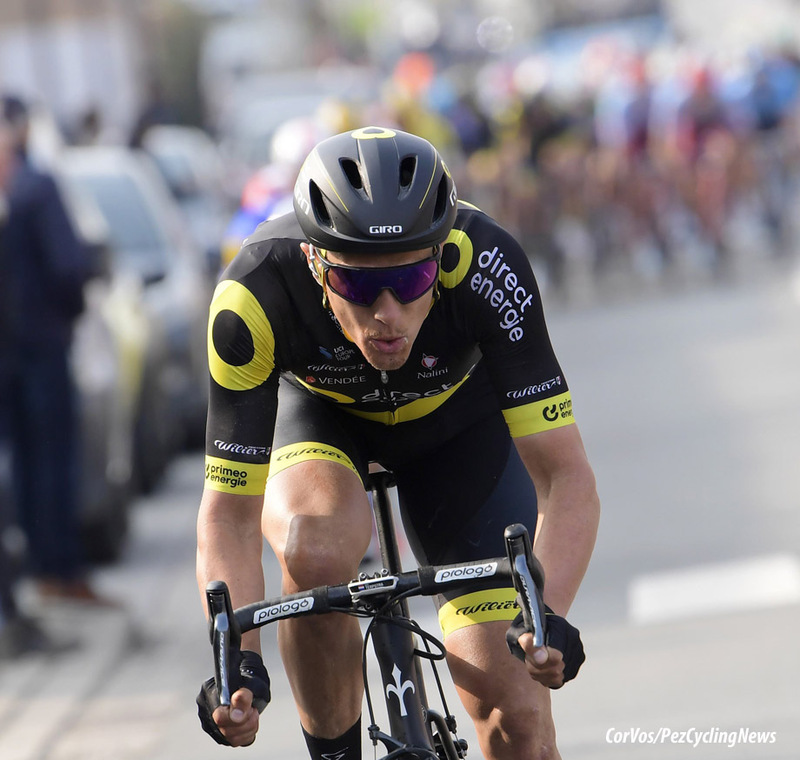 With podiums in Kuurne and Le Samyn there’s life in the big chap still and he’s been 1st, 2nd and 3rd here – and his team rode well for him in Ghent-Wevelgem. 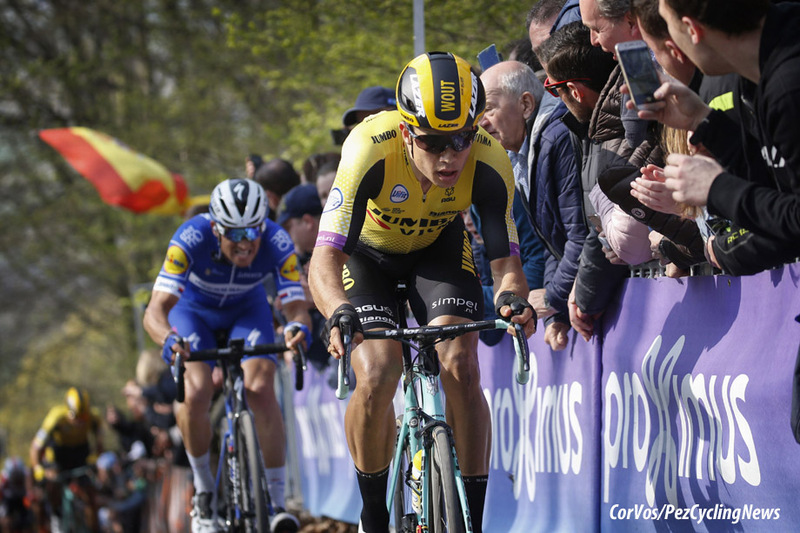 Wout Van Aert (Jumbo-Visma and Belgium): Open that ‘Special’ file again, just 24 years-old, he’s only ridden five races this year: the Omloop 13th, Strade Bianche 3rd, Primavera 6th, E3 2nd and was very visible in Gent-Wevelgem. With that strong team behind him, he’s worth the podium in our book. Greg Van Avermaet* (CCC and Belgium): The man with the best record in this race, 2,2,3,4,5,7,8 – that’s called ‘consistent class.’ He was 2nd in the Omloop, 6th in the Strade Bianche and 3rd in the E3 where he was profligate with his efforts - but if he wasn’t the feral Belgian Media would be all over him. 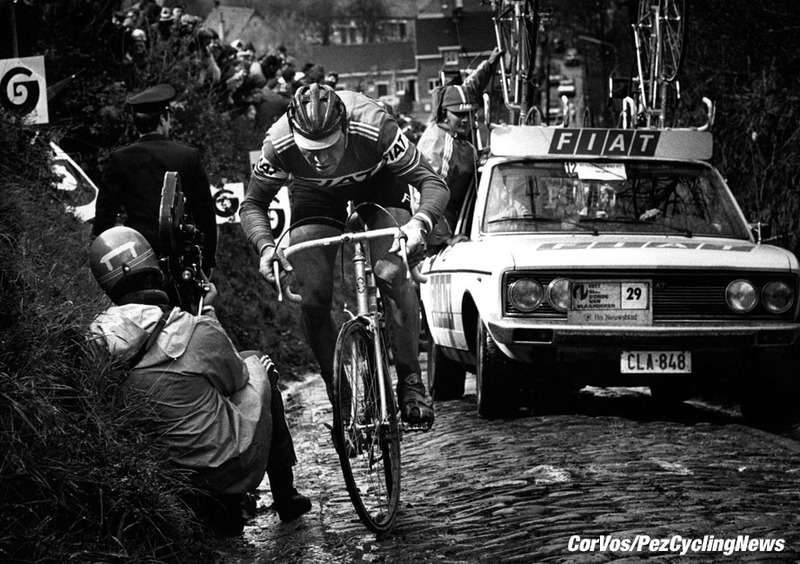 But a man who’ll be lacking team support when the chips are down, as witnessed in Ghent-Wevelgem where he didn’t sparkle. 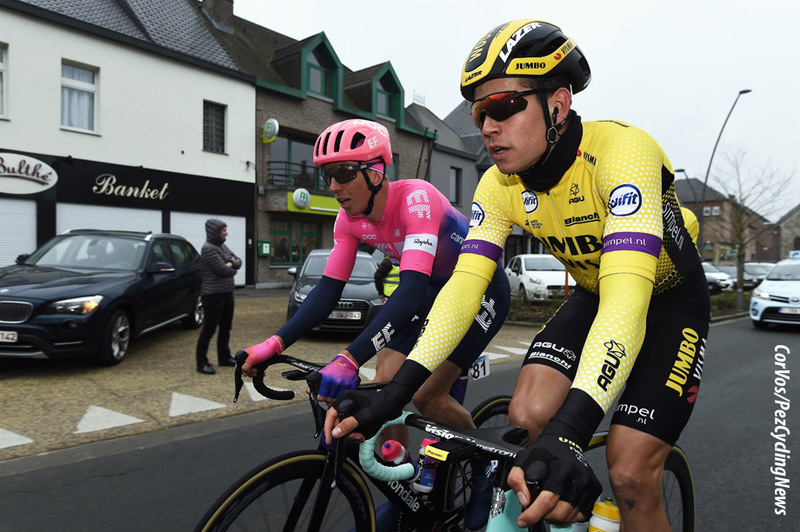 Sep Vanmarcke (EF Education First and Belgium): Perhaps our hearts are ruling our heads here, the big chap from Kortrijk had a win in Haut Var but hasn’t ‘pinged’ over the Kasseien yet, not helped by a stack in the E3 – but these races are his life and with two podiums here he knows the score. Or perhaps EF will be ‘all for’ Italian revelation, Alberto Bettiol? 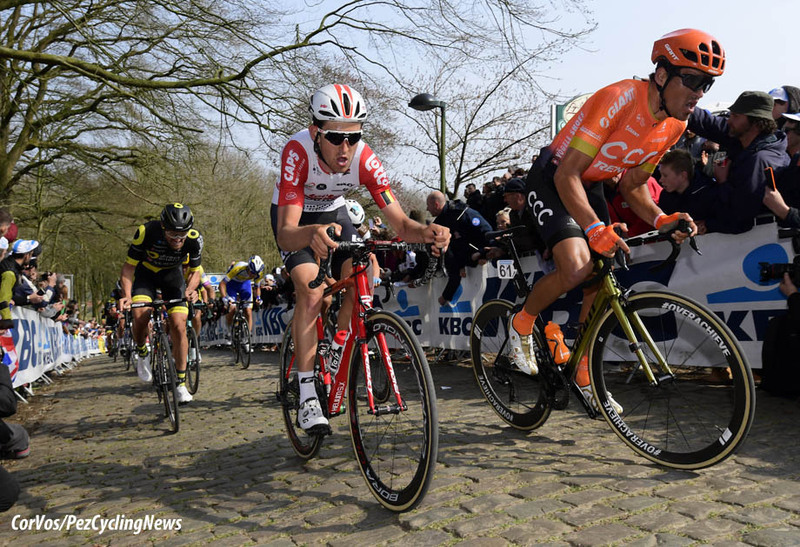 Mathieu van der Poel (Corendon-Circus and The Netherlands): We’re not saying that the GP Denain is de Ronde but the way man with the best genes – Adri Van Der Poel for a dad and Raymond Poulidor for a grandad - in the peloton won that race says much about his class and ability across the Kasseien. And he was ‘there’ all day in a tough Ghent-Wevelgem.